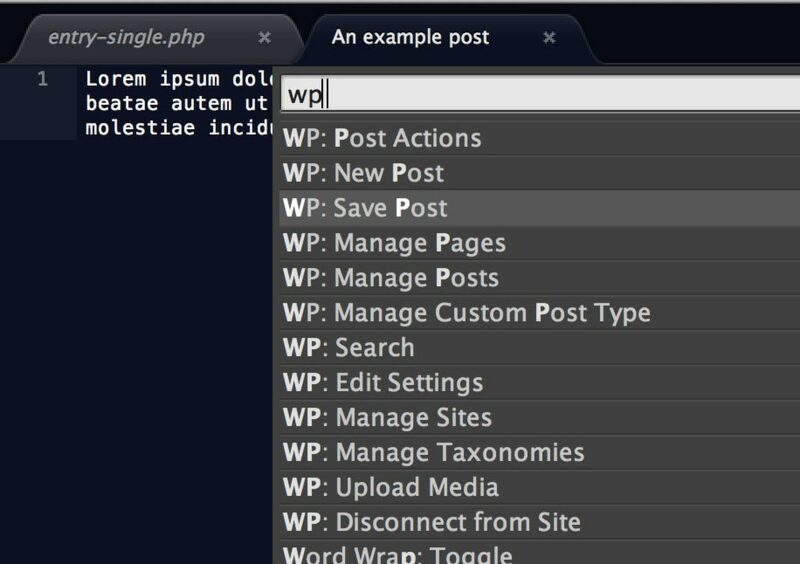 Sublpress is a new extension for Sublime Text by Nic Dienstbier that makes it possible to manage your WordPress site (or multiple sites) in the editor. Currently you can edit settings, create and edit posts and manage taxonomy terms. All features can be easily accessed via the Command Palette. I tested Sublpress in both Sublime Text 2 and beta of Sublime Text 3, and my initial impressions are it seems to be a bit more stable (ironically) in the latter. This could be just something relating to my setup however. Despite the recent Coda 2 update, I find myself doing almost all of my web coding in Sublime Text 2, an excellent and extensible editor for Mac, Windows and Linux. Specifically for WordPress development, I’ve found at least three tools worth installing. (If you’re new to Sublime Text, I recommend installing the Sublime Package Control extension first). WordPress Package, based on the TextMate bundle. Provides useful autocompletions for functions and some snippets. This one is a huge time saver, and along with the ZenCoding Emmet plugin, couldn’t imagine going without it. Search WordPress Codex. Does what it says, especially useful for directly looking up a function definition. SublimePhpTidy, helps format PHP code to conform to WordPress Coding Standards. 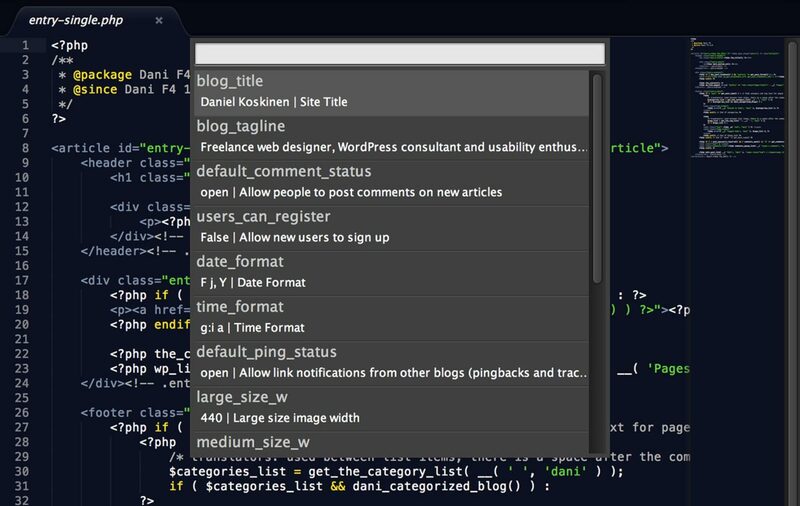 Nettuts provides more great tips on using Sublime Text. I’d be glad to hear of any other useful plugins/hints!